In our house breakfast is usually self-serve, quick and easy. My big kids often beat me downstairs in the morning and eat their breakfast before I even get my coffee. Since I rarely buy cold cereals, pop tarts or frozen breakfast foods our self-serve breakfast is often some type of muffin. 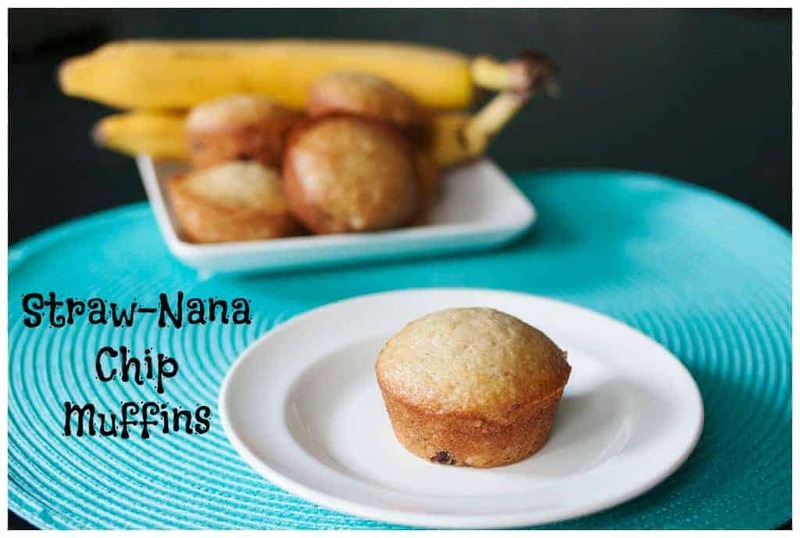 These Straw-Nana Chip muffins are the favorite muffin of all my children and even my husband enjoys them. They keep for quite awhile, and freeze well if I have a large bunch of bananas turn brown at the same time. I usually choose to use a mix of half whole wheat and half white flour to make the muffins healthier. Also, if your brand yogurt has a lot of added sugar experiment with cutting the sugar back to 3/4 a cup. Another fun change is using a mixture of chocolate and peanut butter chips and using vanilla yogurt instead of strawberry. In a large bowl mix the sugar and butter until they are well blended. Stir in the mashed banana, yogurt and vanilla extract. Add the flour, baking soda and salt; mix gently until just moist. *Your mixture should be lumpy for fluffy muffins. 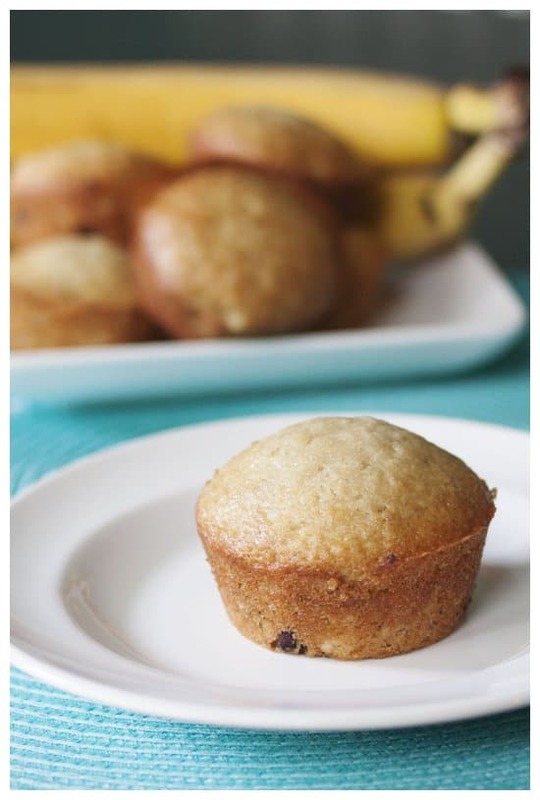 Grease two muffin tins (or use cupcake liners) and spoon the batter into each muffin cup is 2/3 full. Bake for 17 to 20 minutes or until muffins are lightly brown. Cool in the pan for 5 minutes and then transfer to a wire rack to finish cooling.